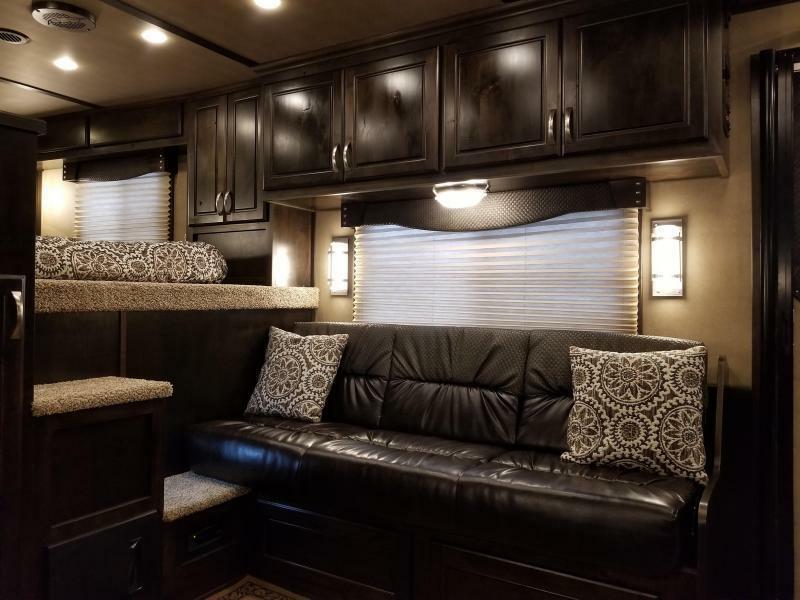 Home / 2018 Featherlite 9821 Liberty 17' Living Quarters w/ Slide - Couch & Dinette - Bar - Central Vacuum - And Much More! 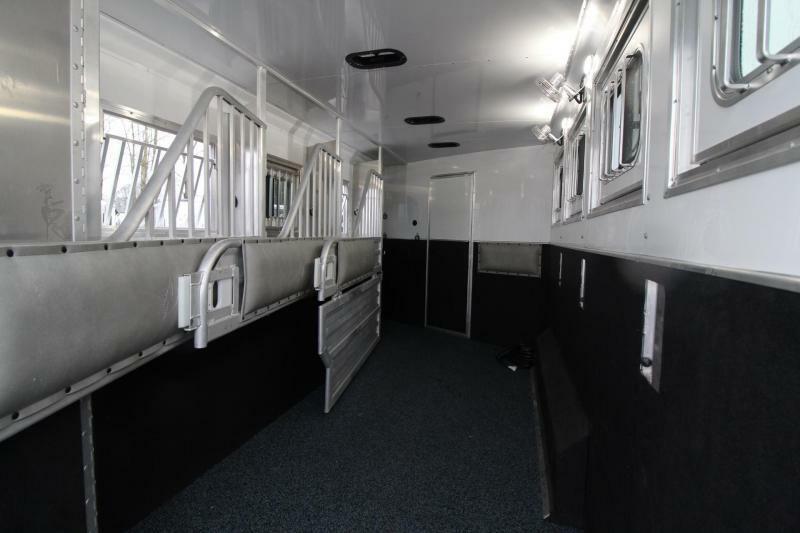 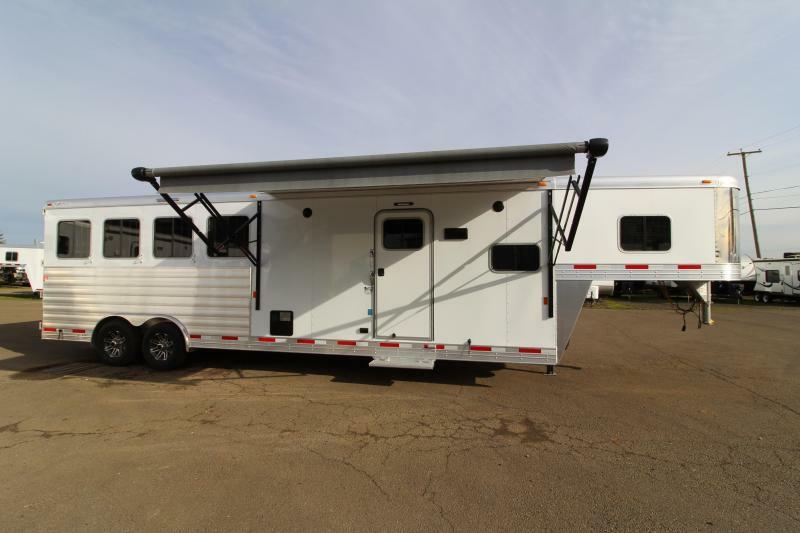 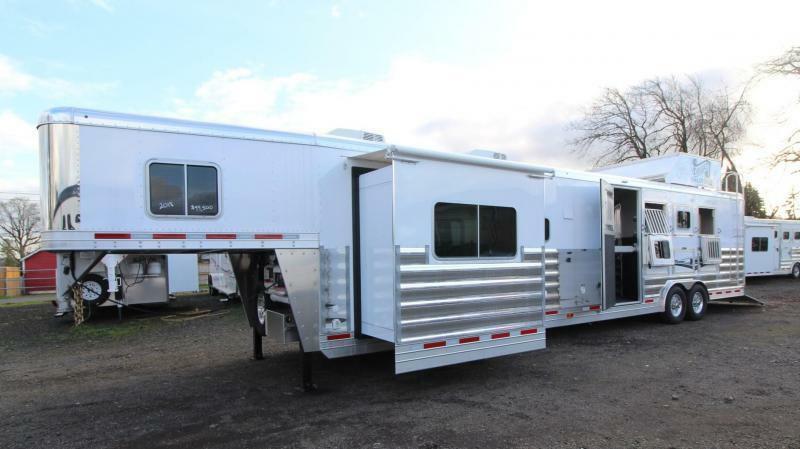 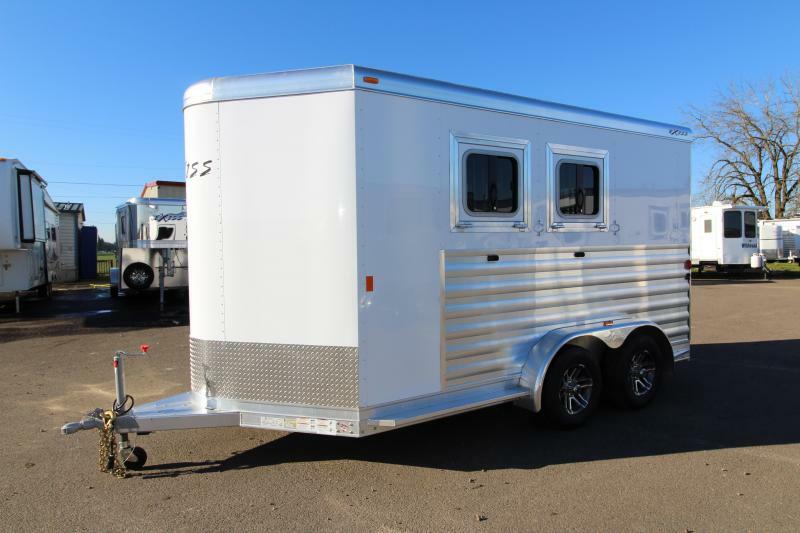 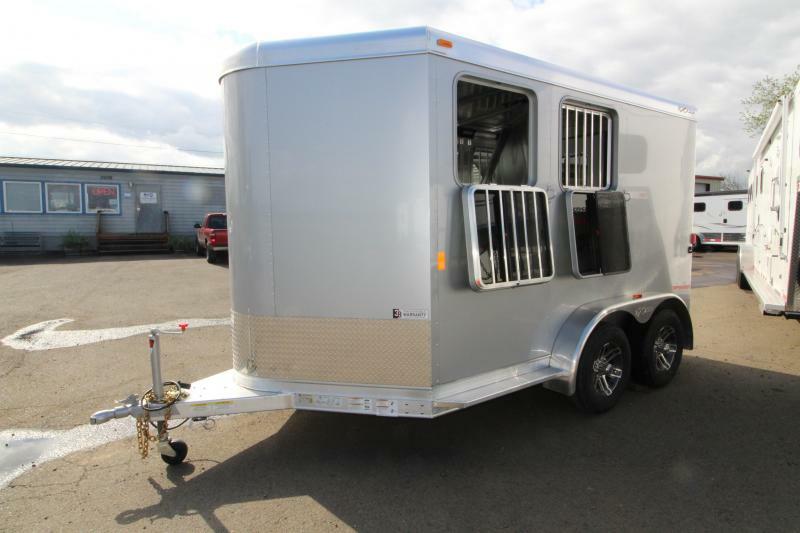 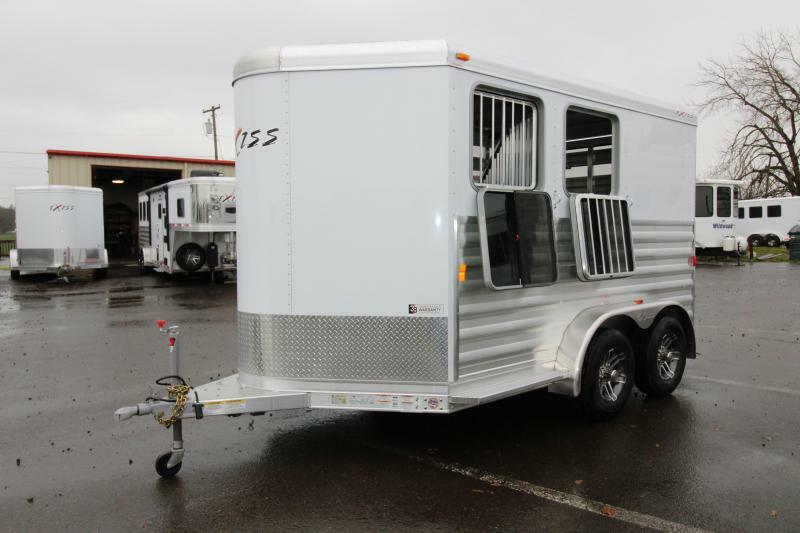 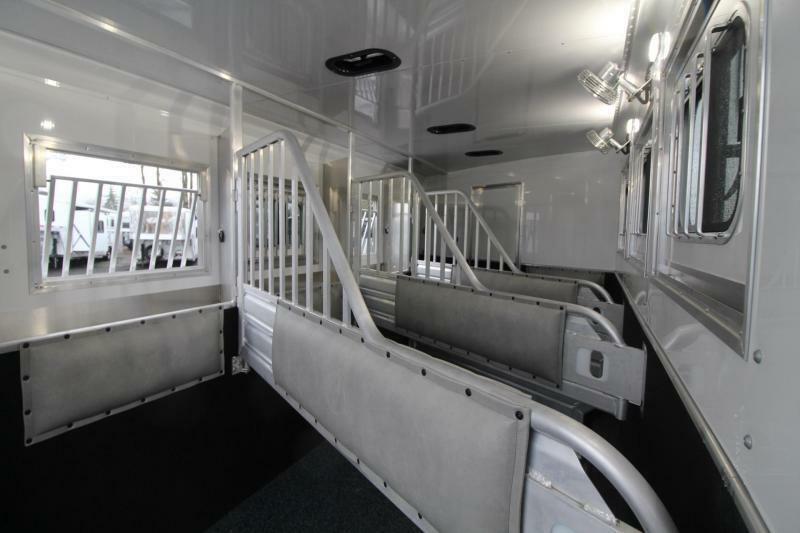 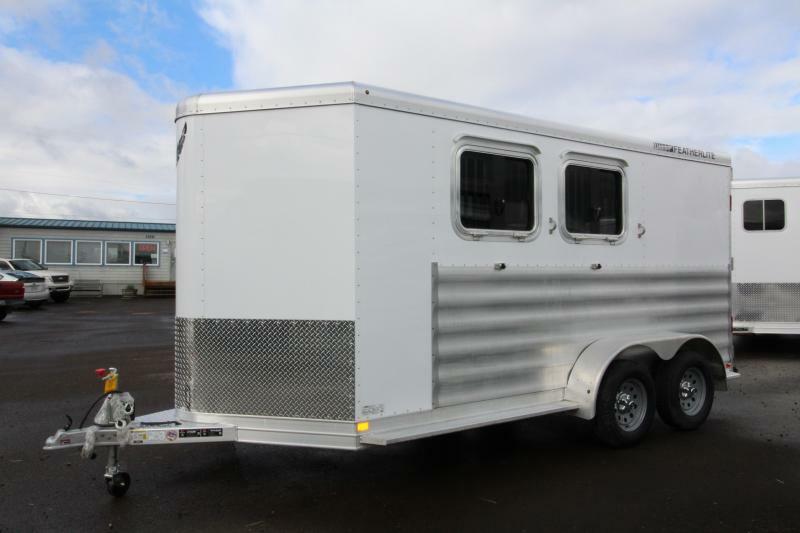 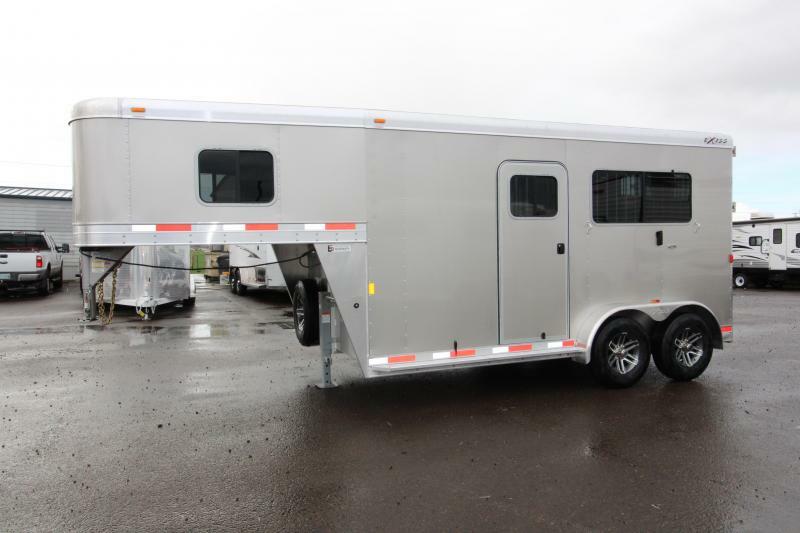 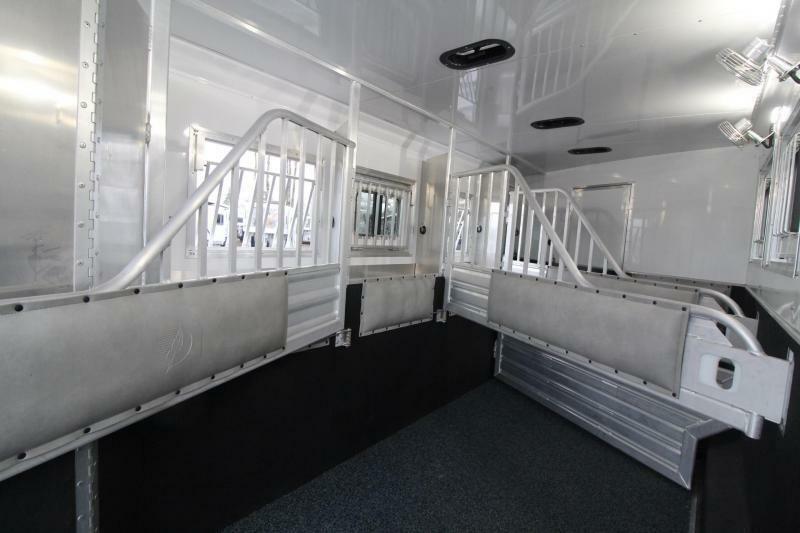 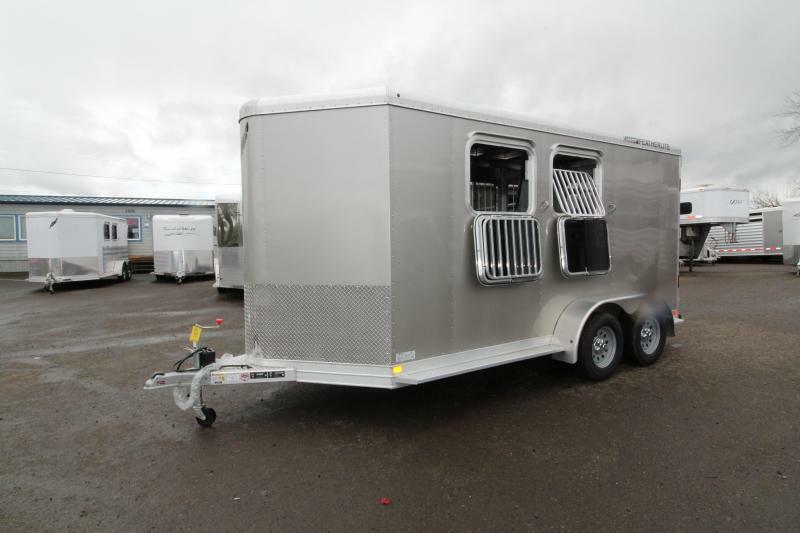 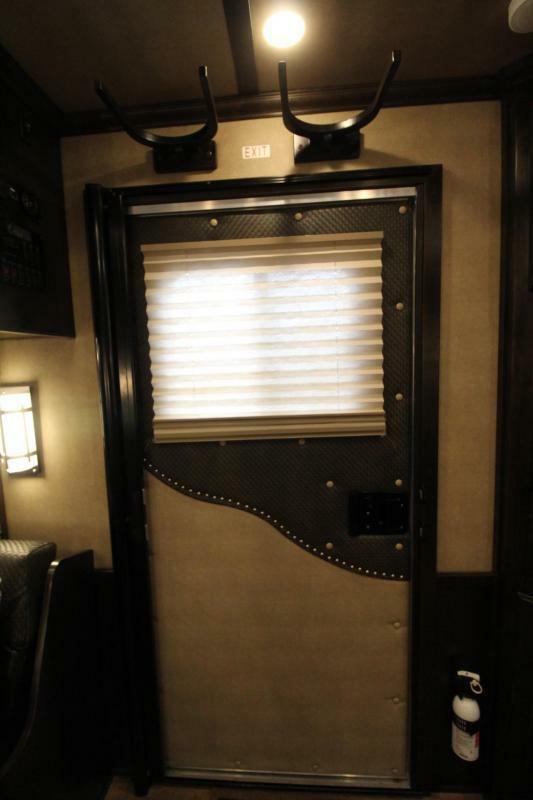 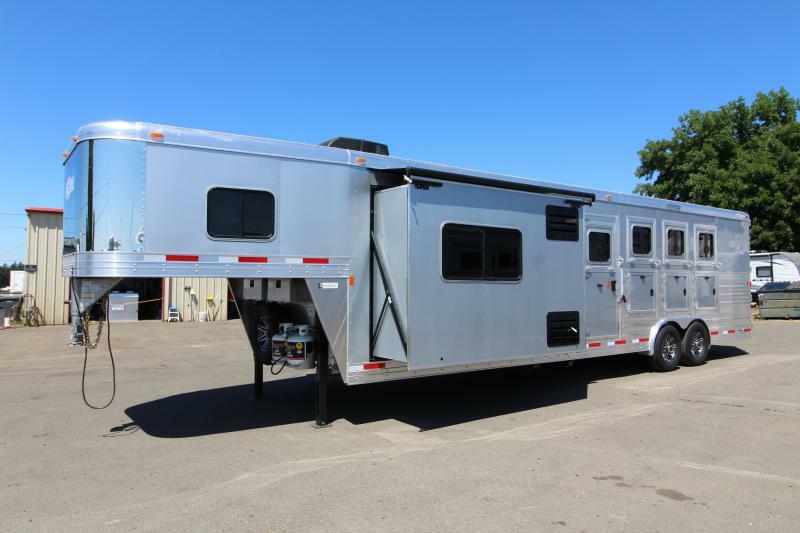 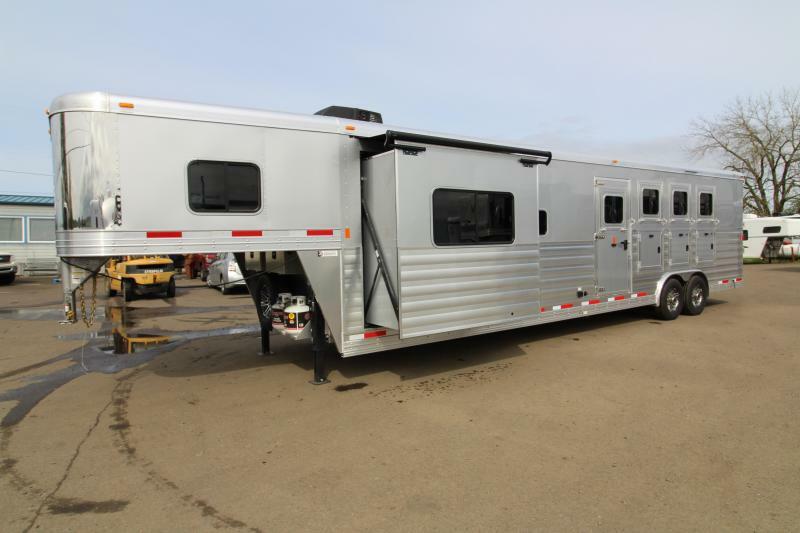 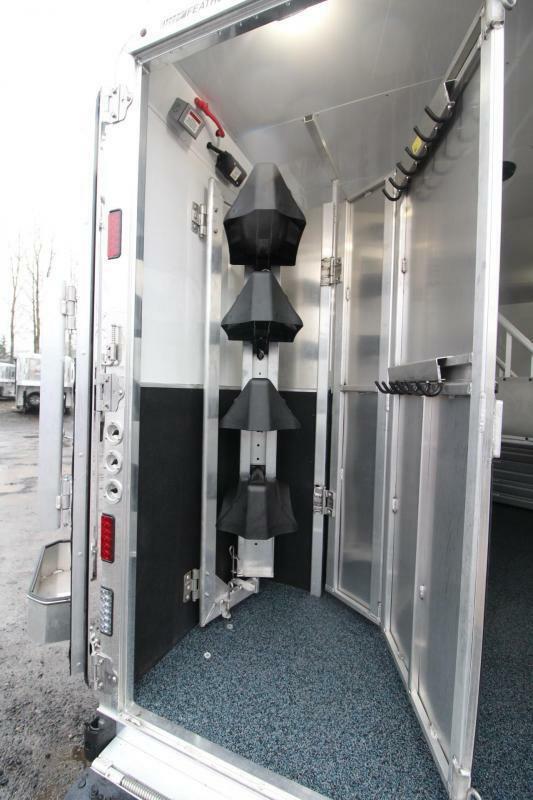 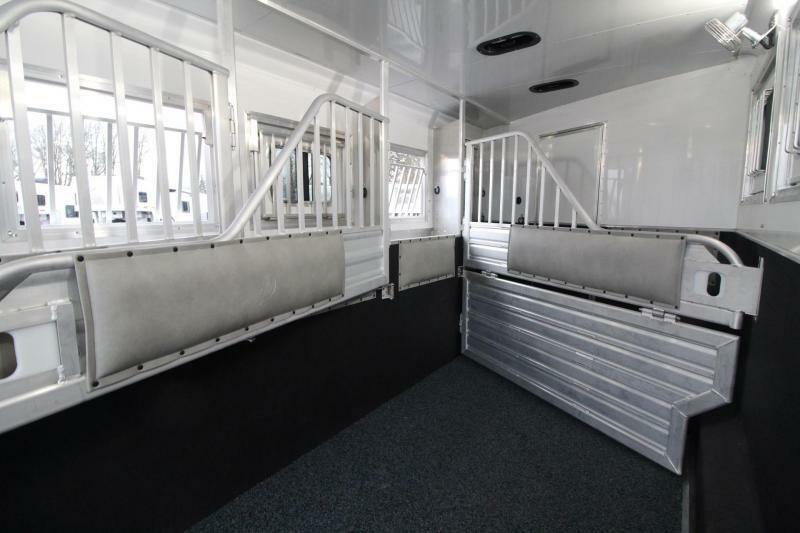 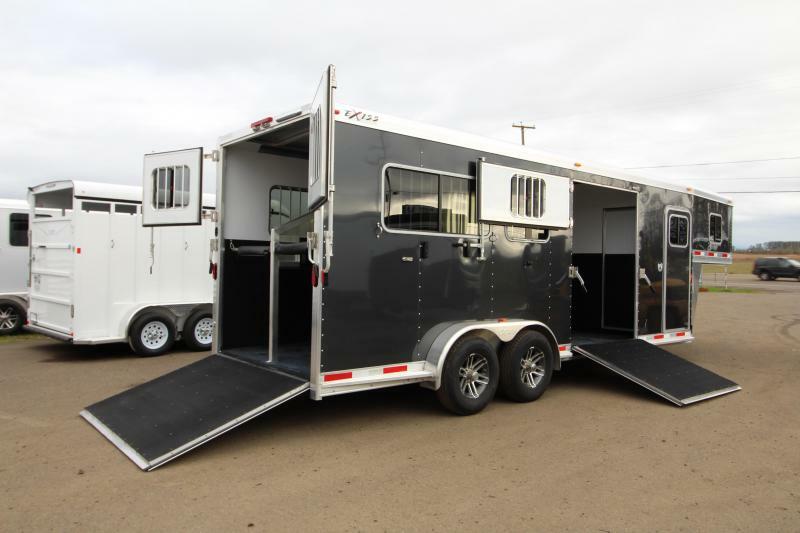 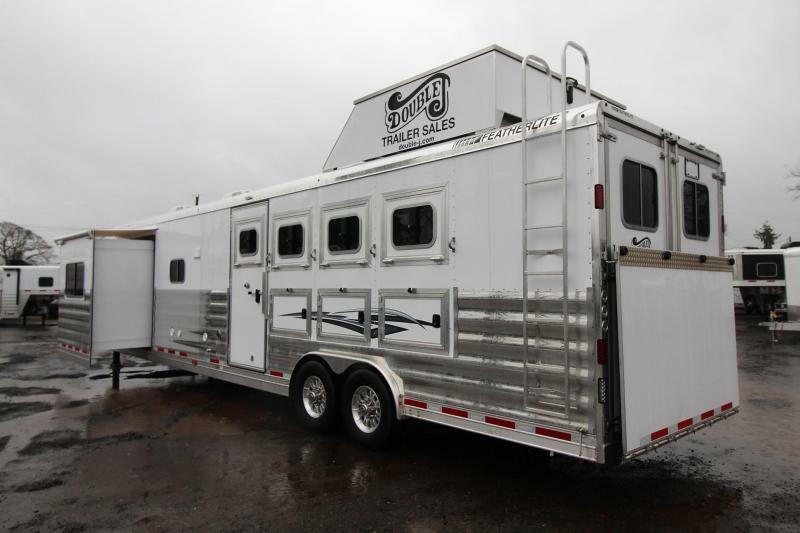 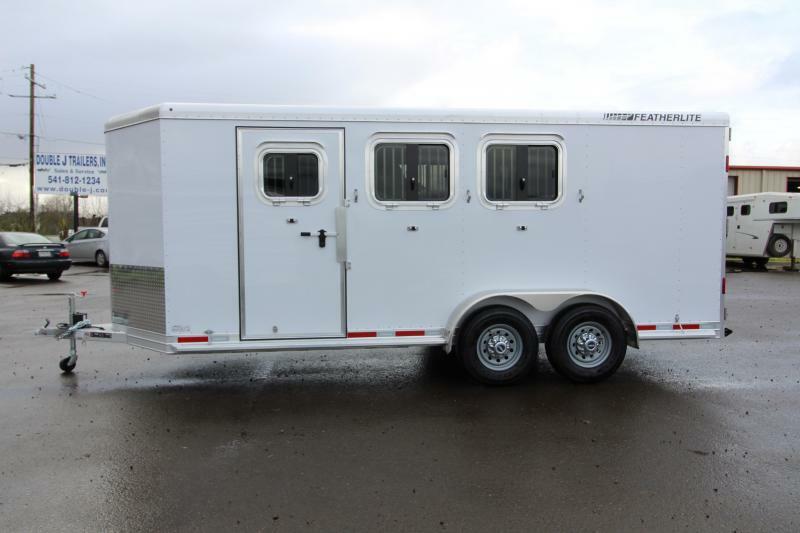 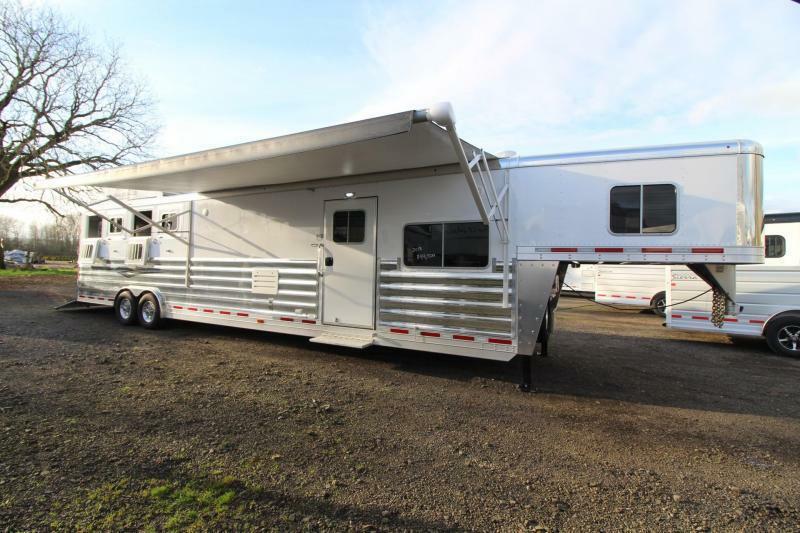 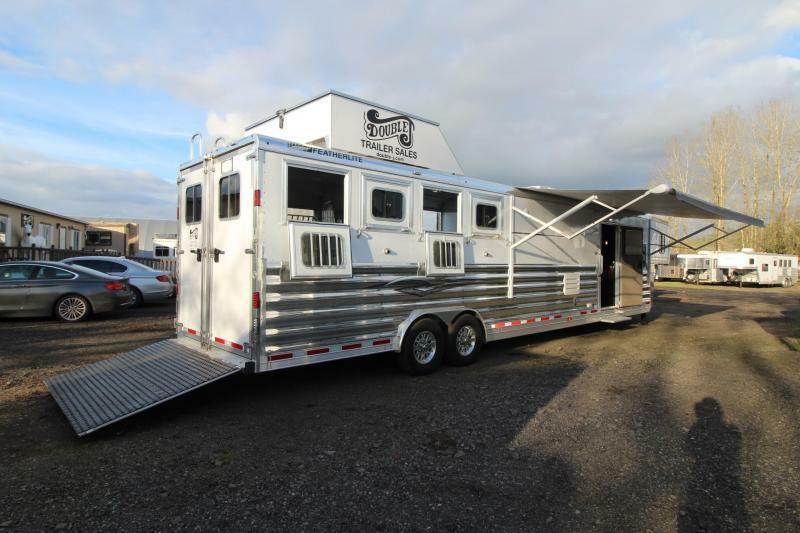 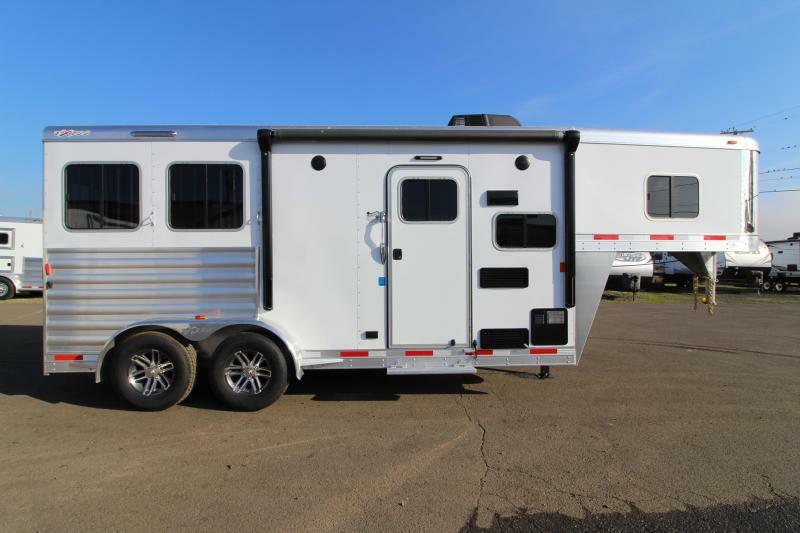 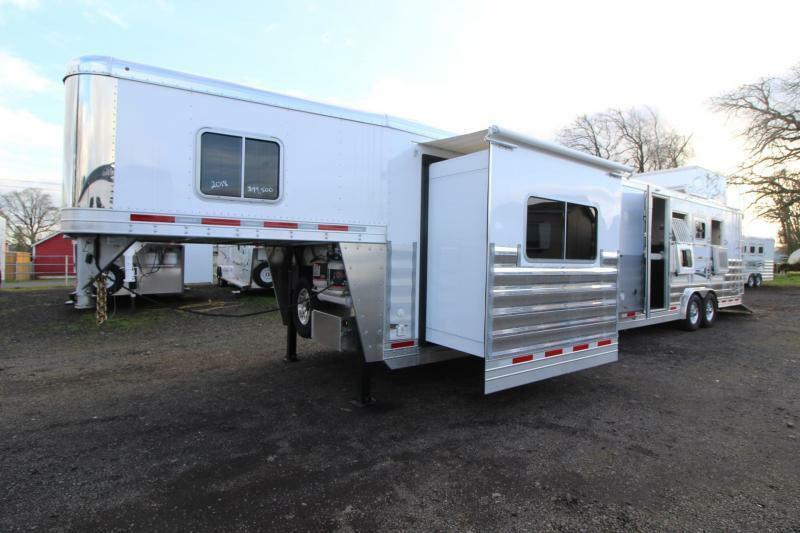 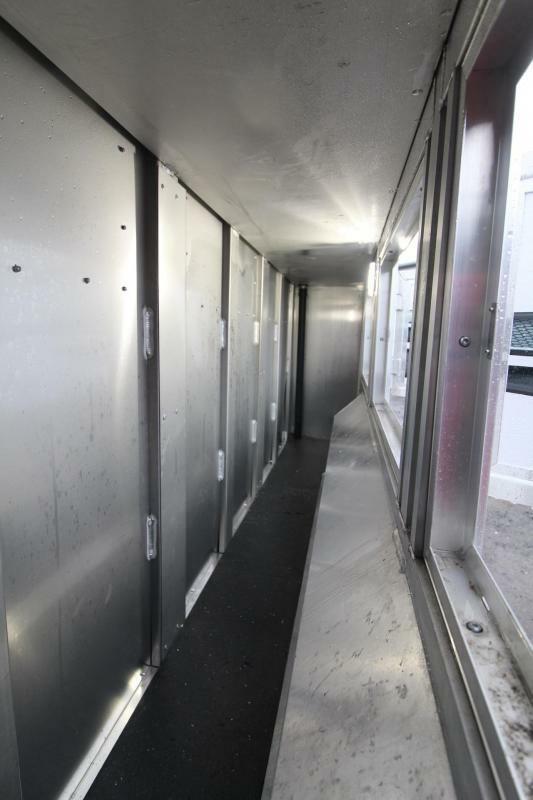 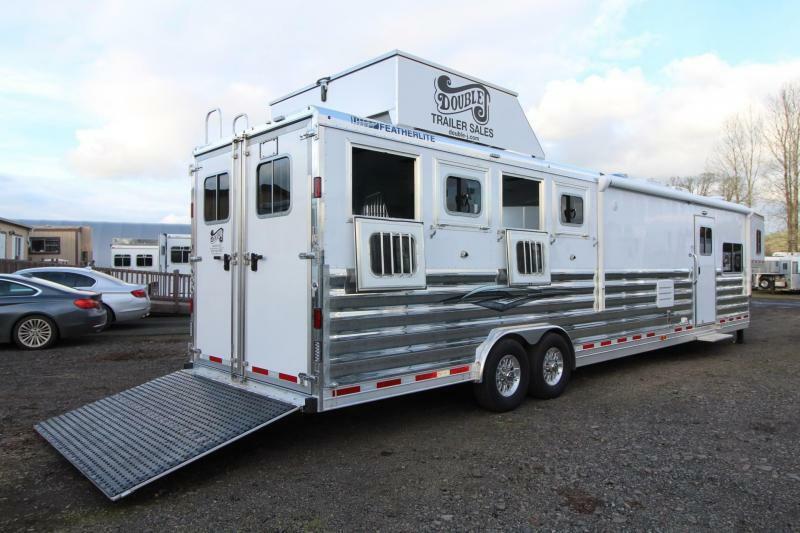 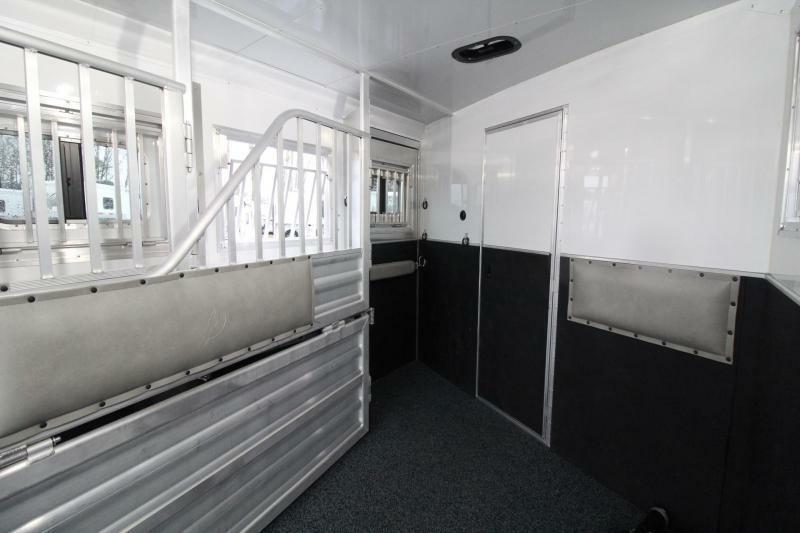 - 4 Horse Trailer w/ fans in horse area - Hay Pod - PRICE REDUCED $6000! 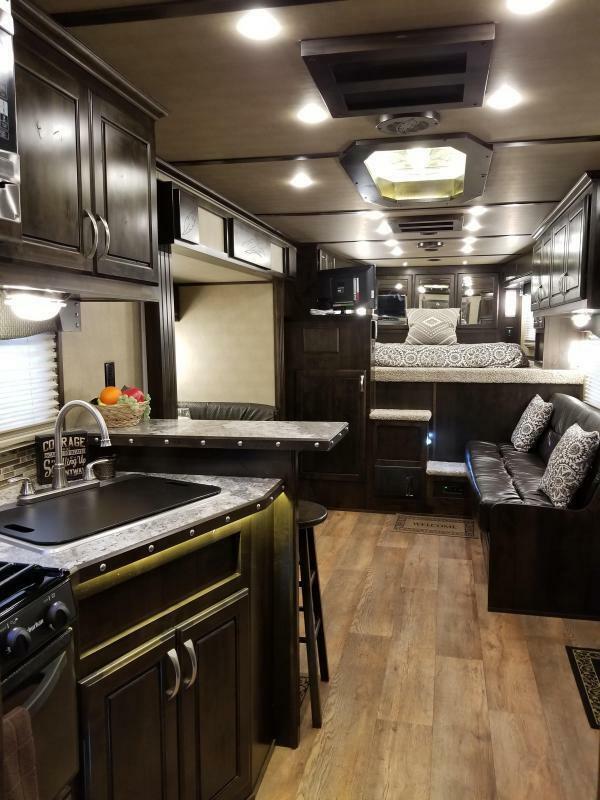 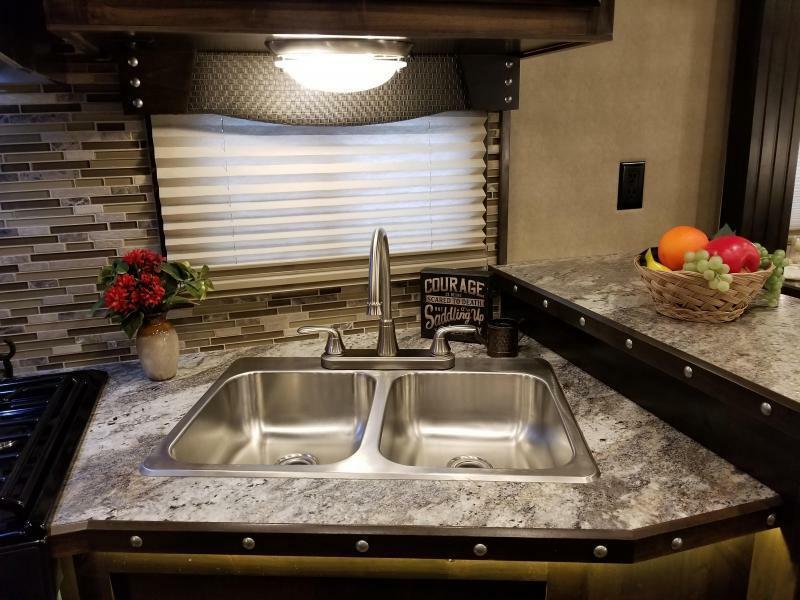 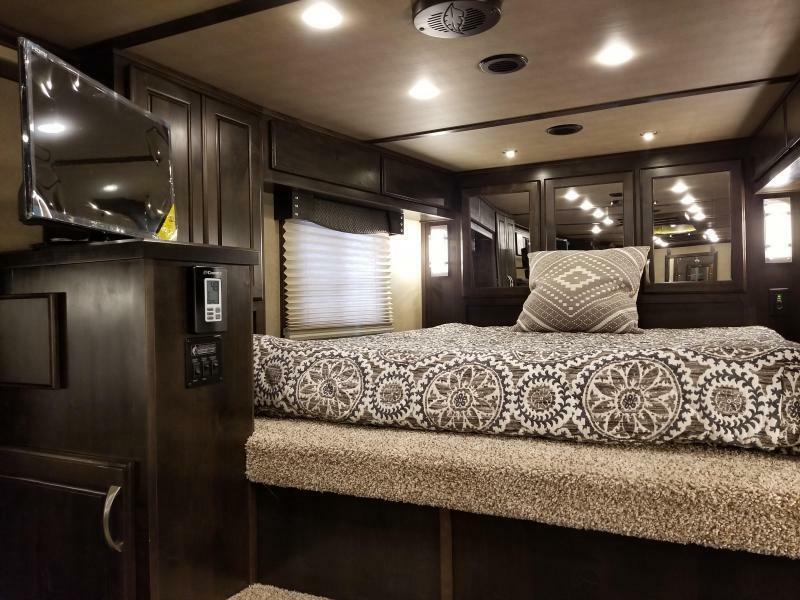 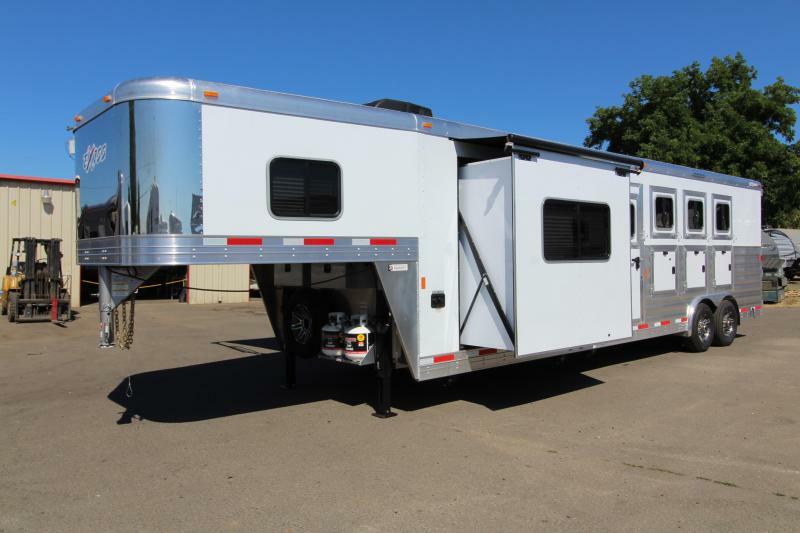 2018 Featherlite 9821 Liberty 17' Living Quarters w/ Slide - Couch & Dinette - Bar - Central Vacuum - And Much More! 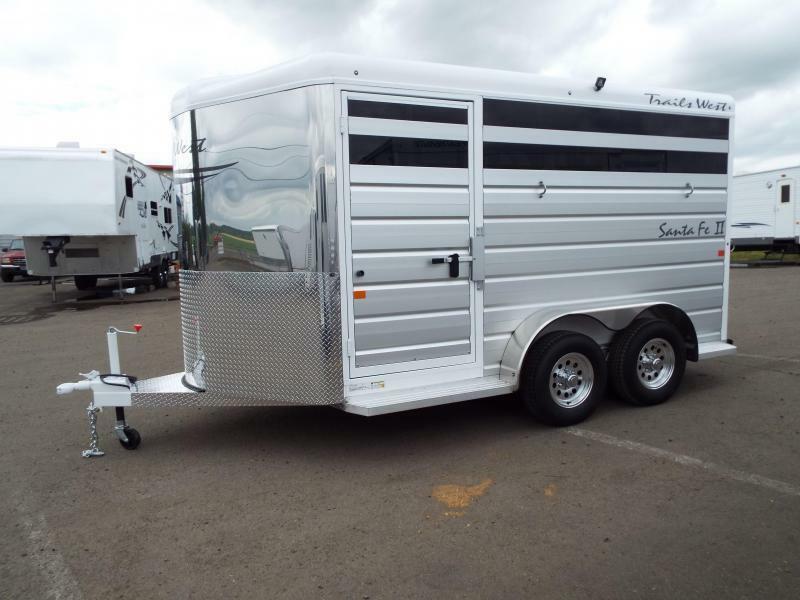 - 4 Horse Trailer w/ fans in horse area - Hay Pod - PRICE REDUCED $6000! 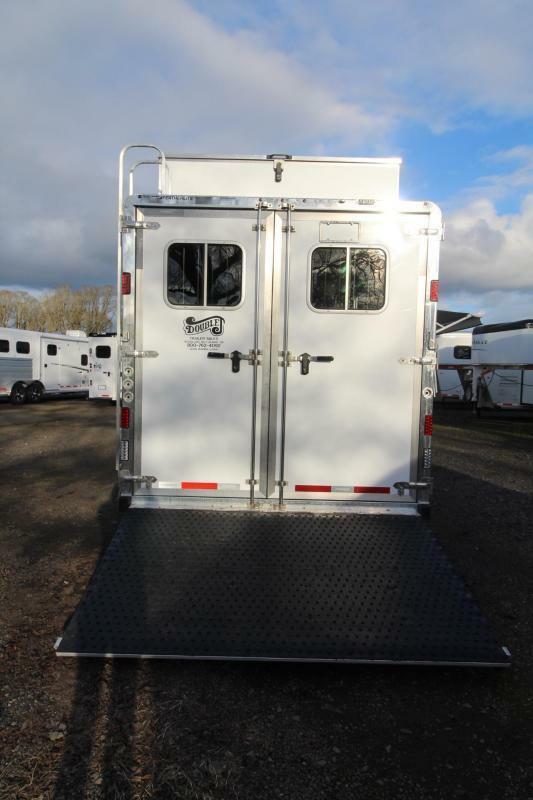 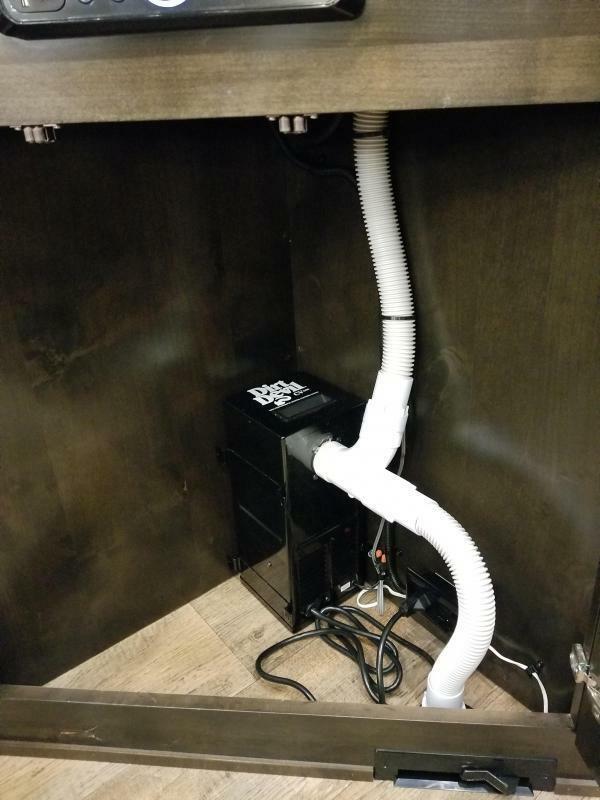 Model: FEATHERLITE 17' LQ. 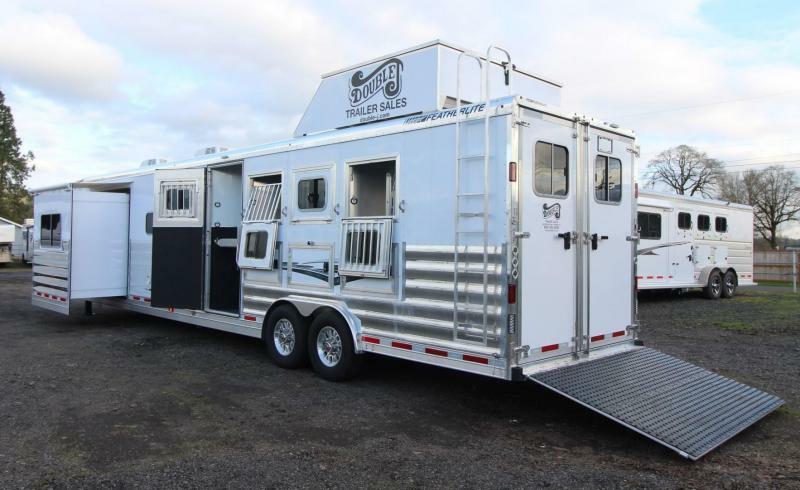 ALL THE BELLS AND WHISTLES! 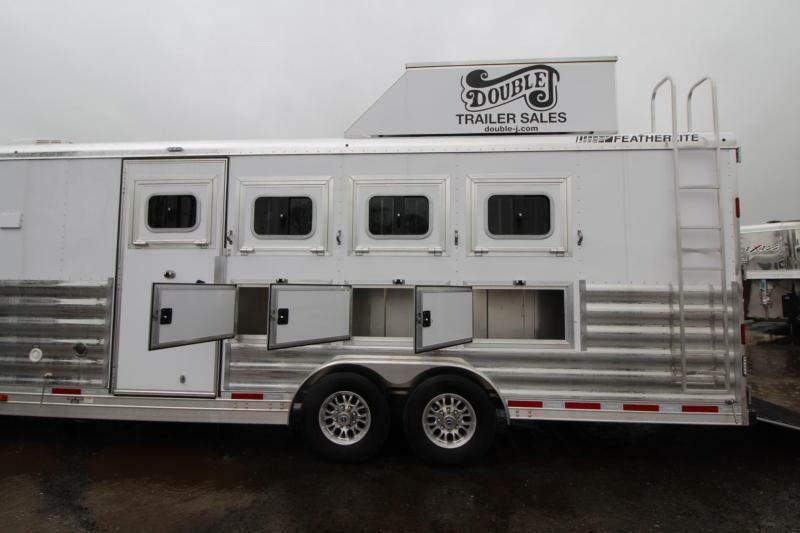 THIS WAS FEATHERLITE'S NFR SHOWCASE TRAILER. 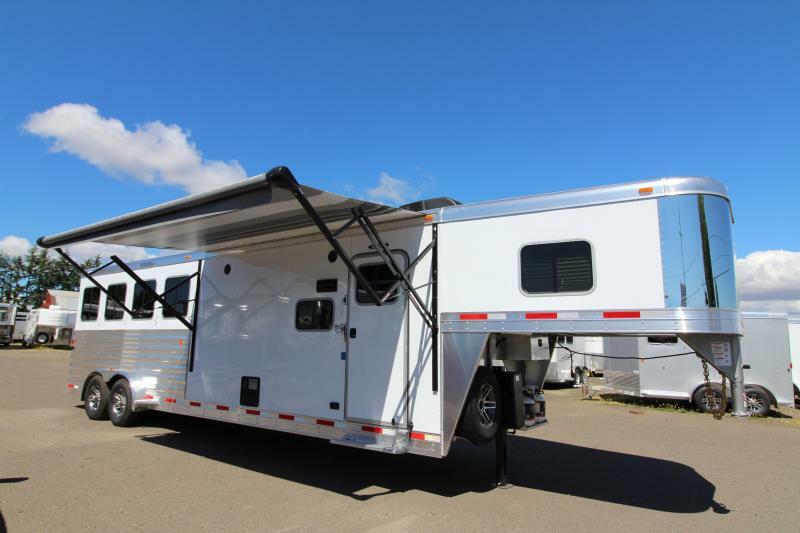 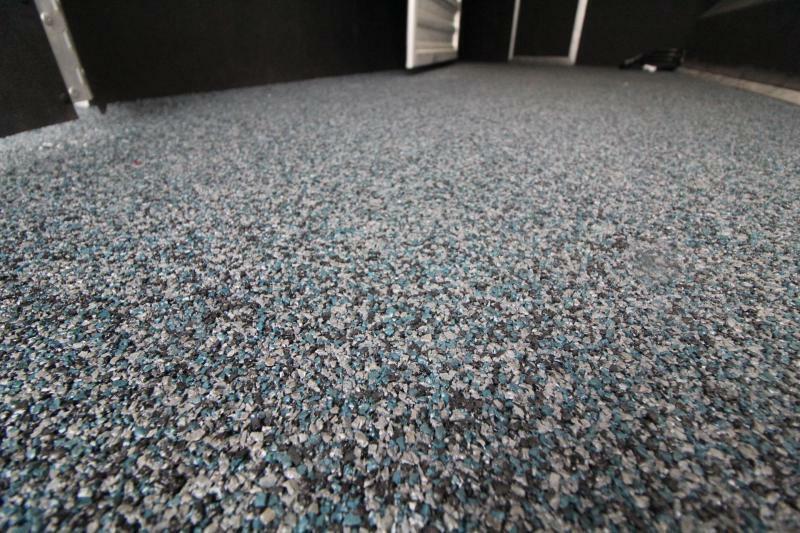 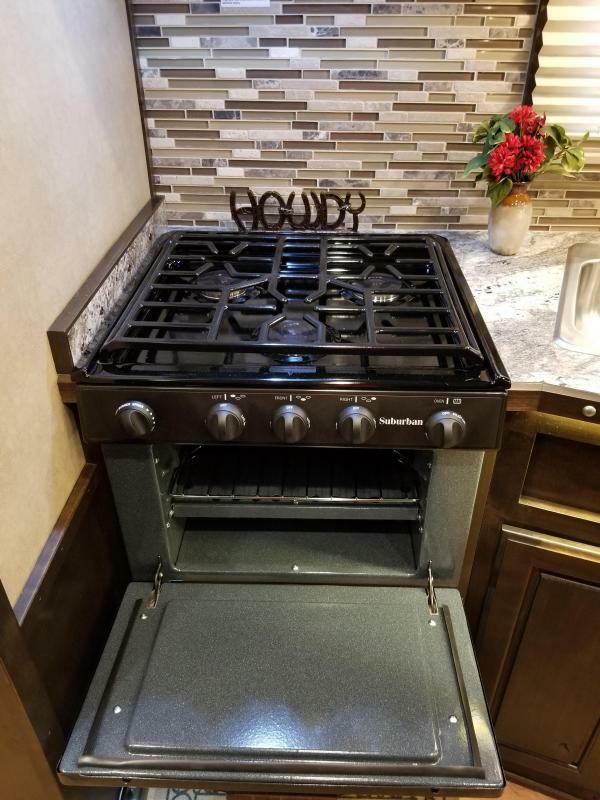 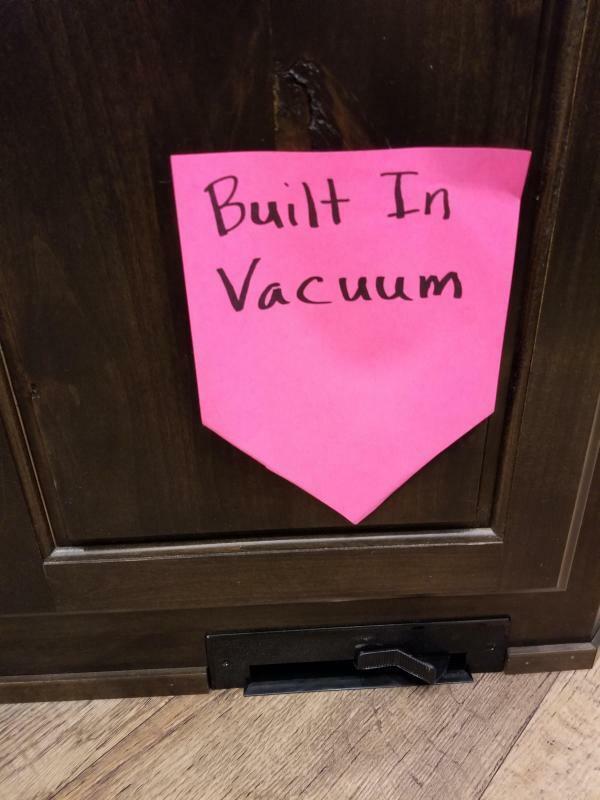 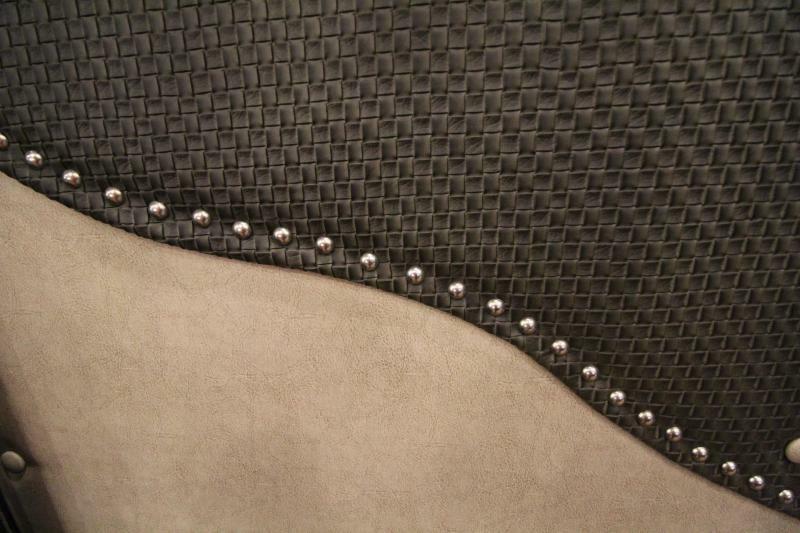 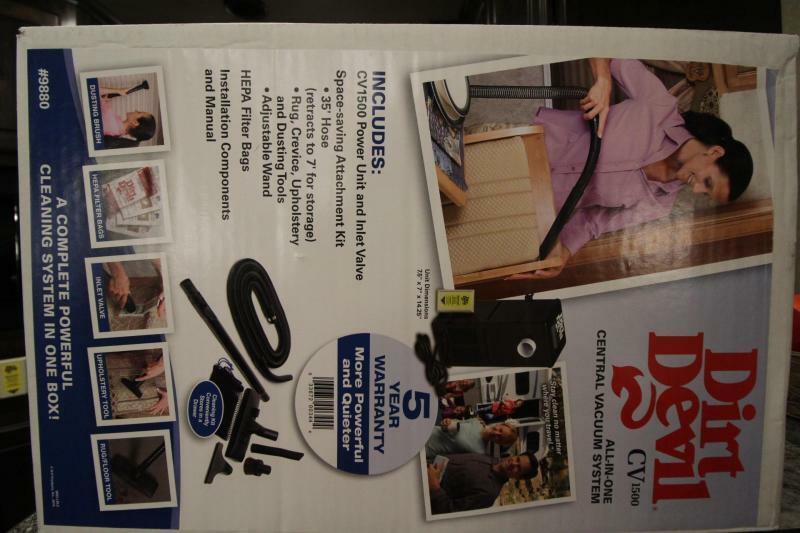 IT HAS ALL OF THE BELLS AND WHISTLES AND AN INDUSTRY LEADING 10 YEAR STRUCTURAL WARRANTY! 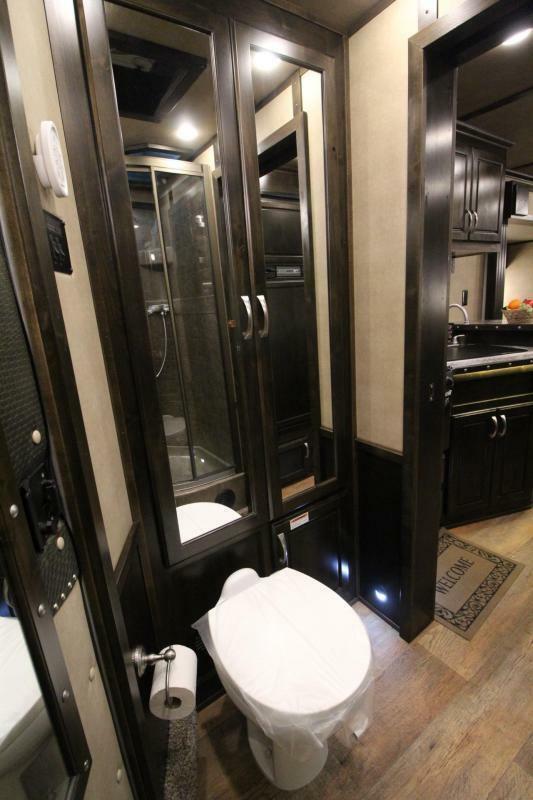 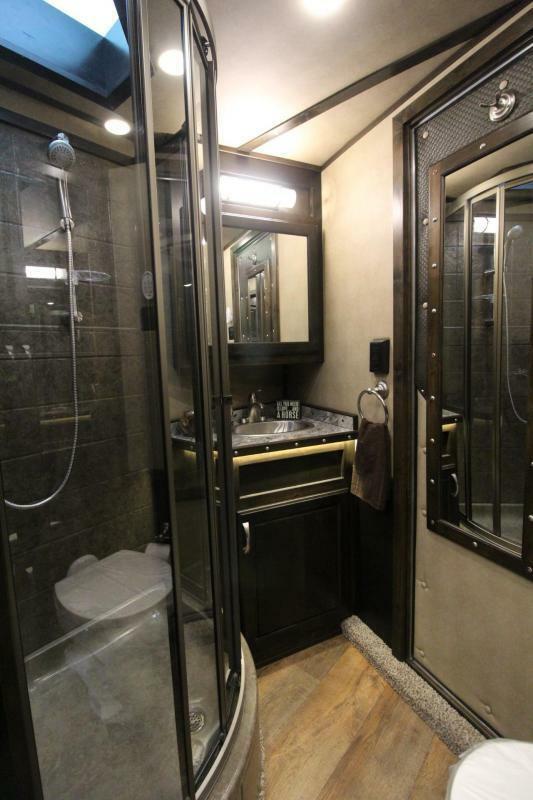 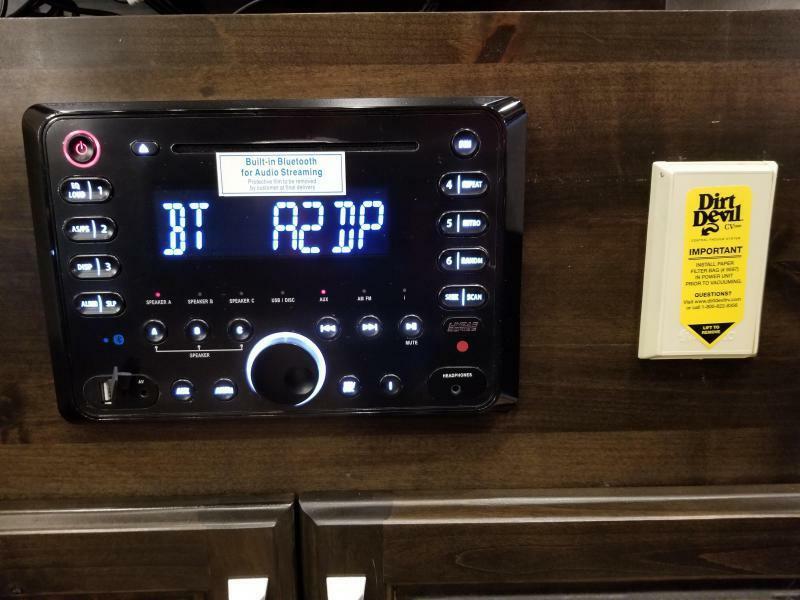 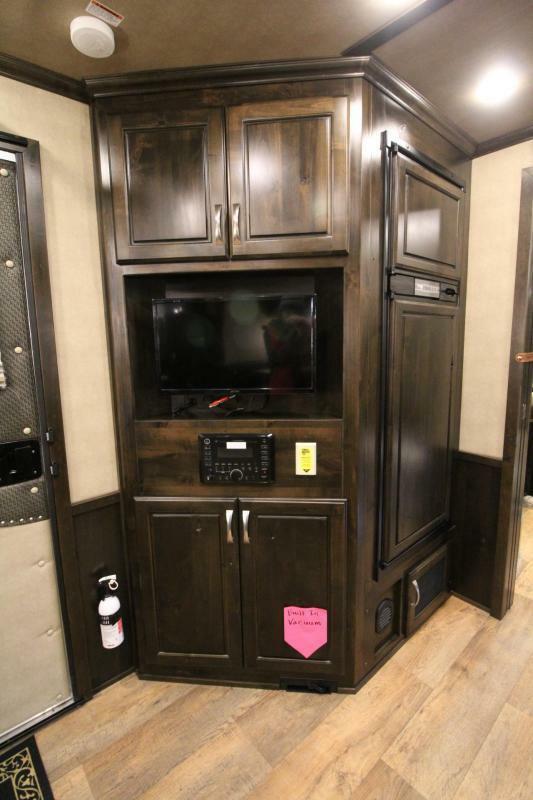 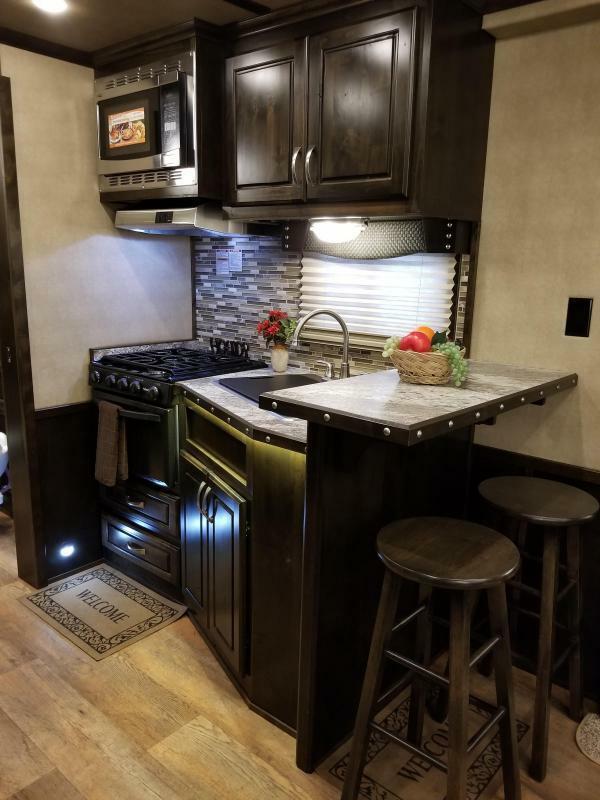 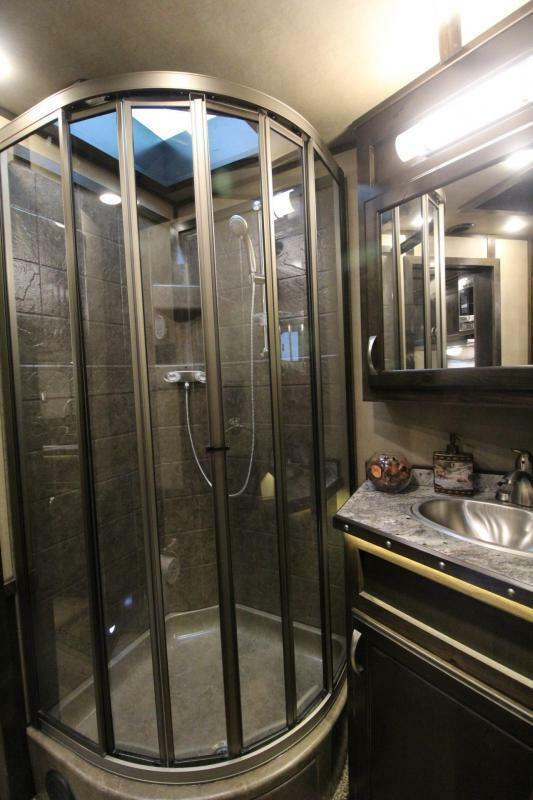 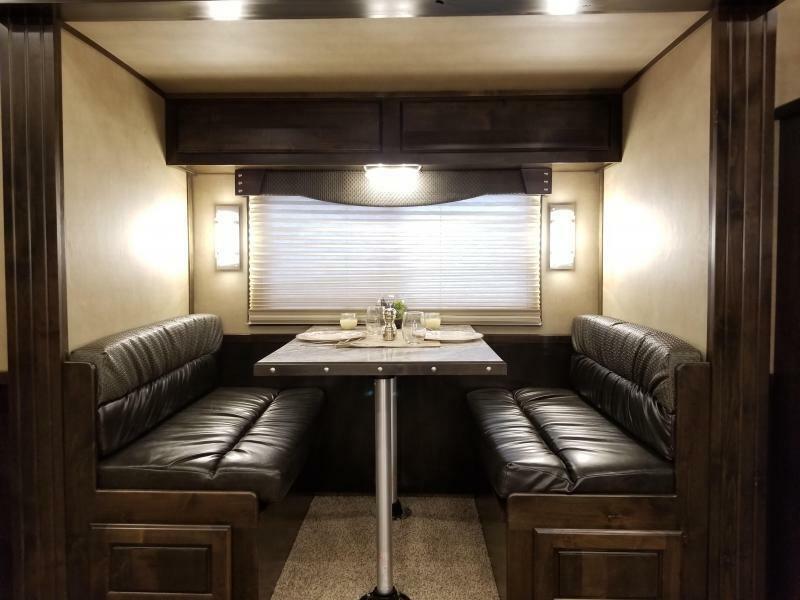 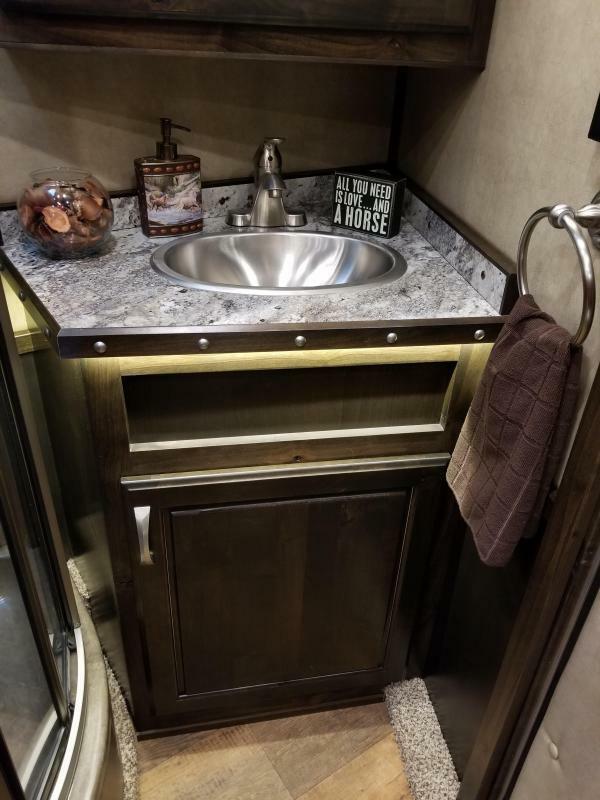 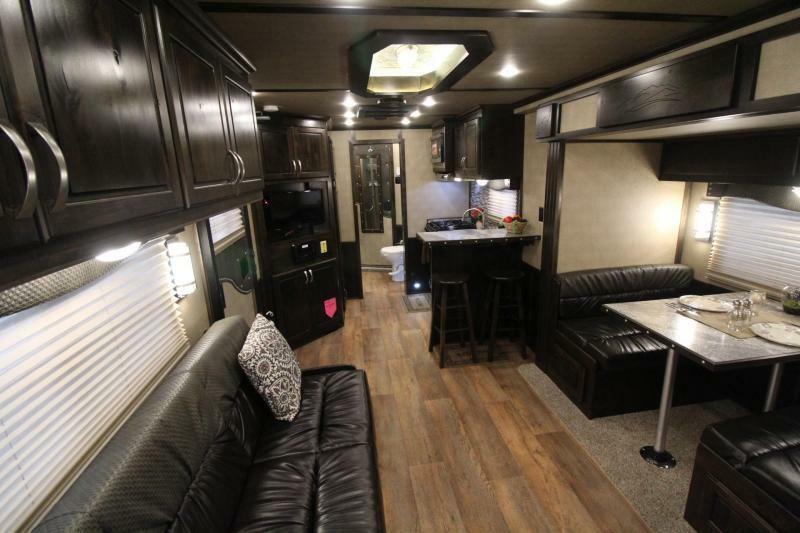 This trailer has a great floor plan that features a dinette, a sofa and a bar with bar stools. 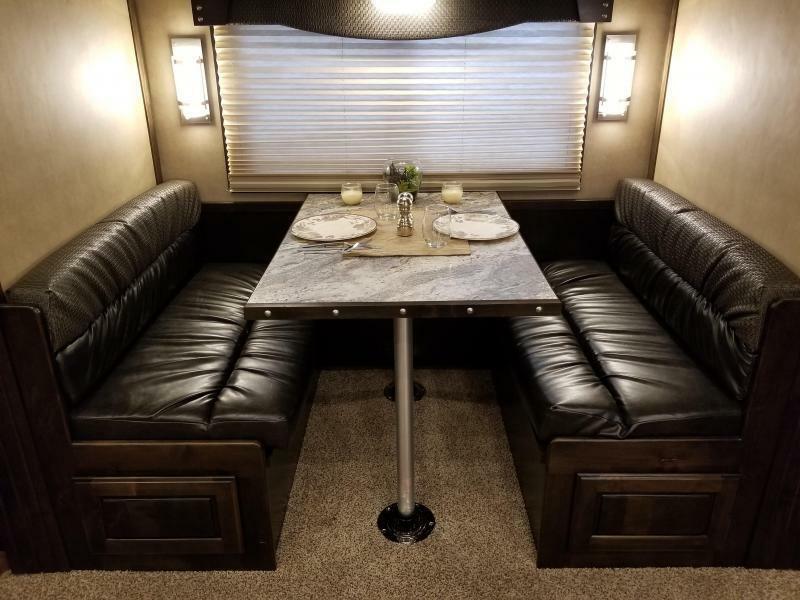 The dinette and the sofa convert to additional beds. 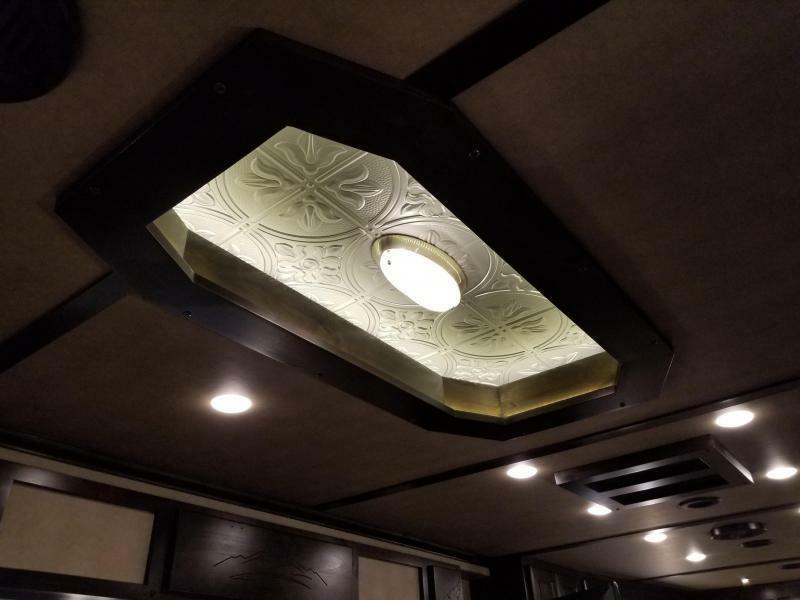 -Decor upgrade which includes decorative mirror, decorative trim accents and sconce lights. 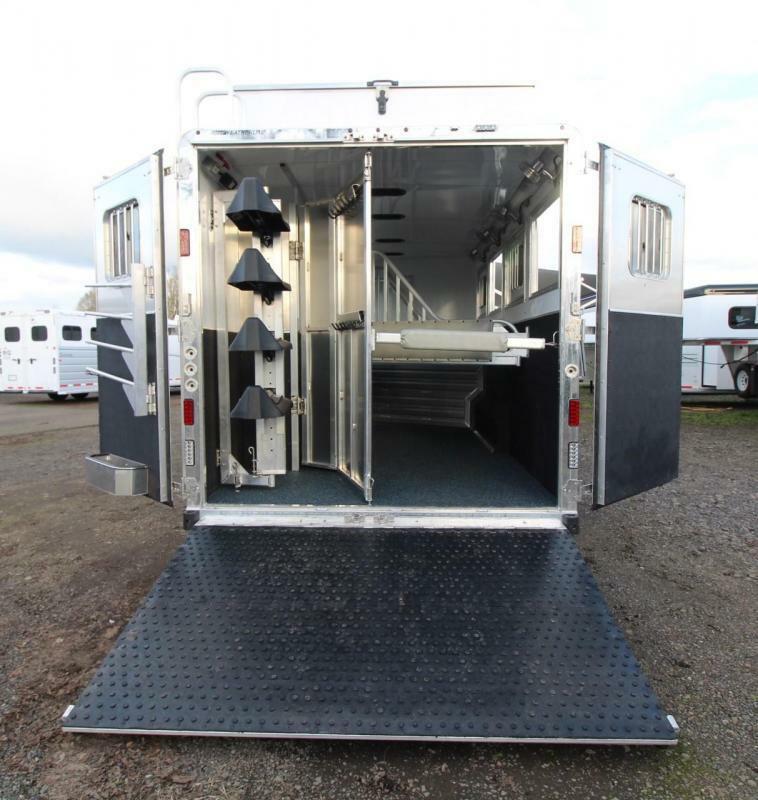 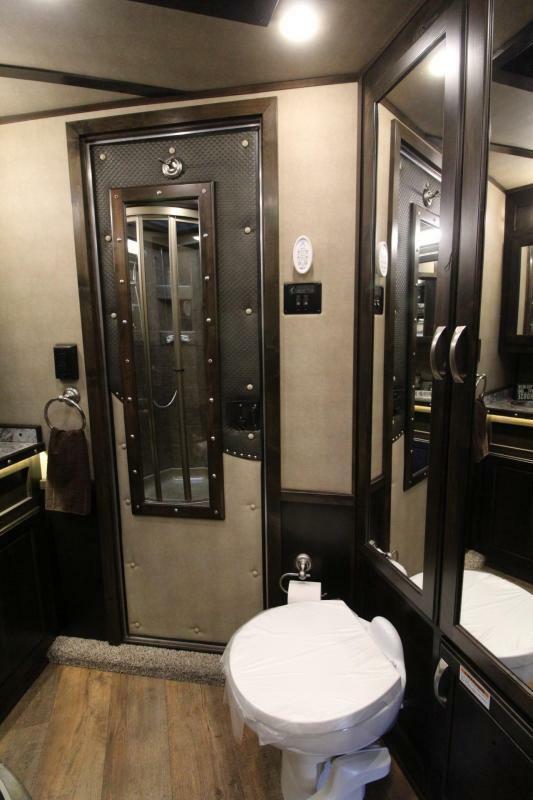 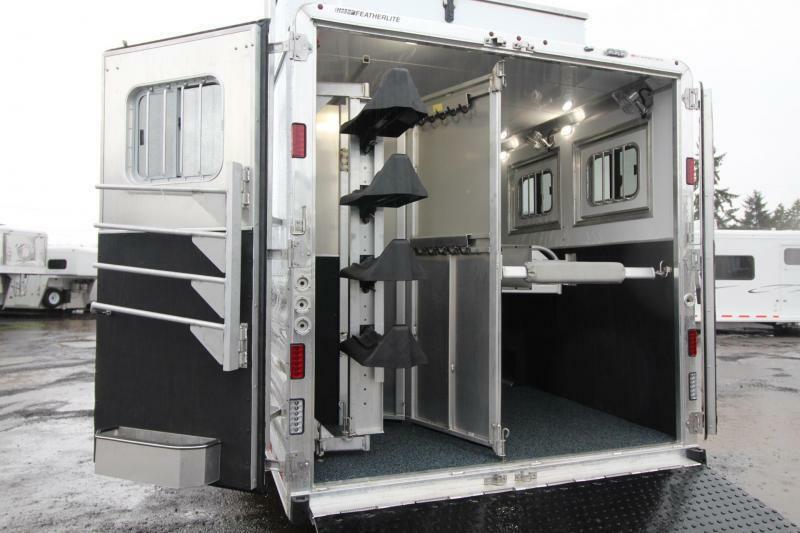 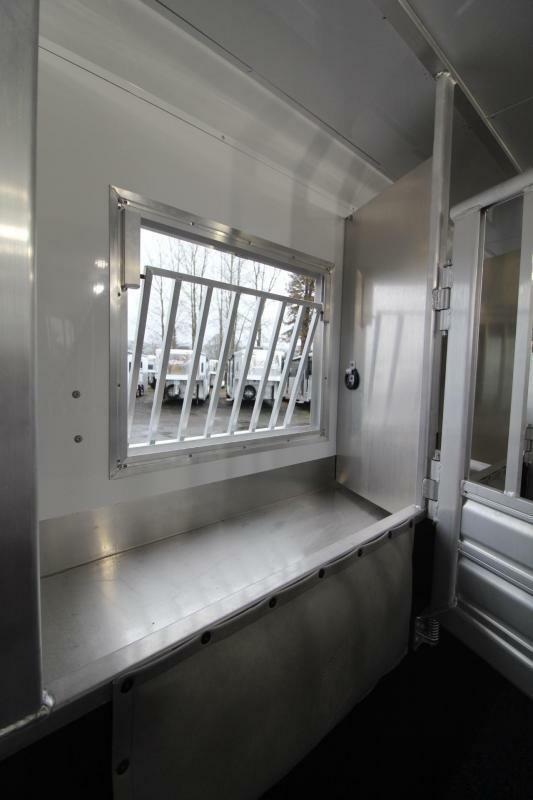 -"Legend" upgrade which includes heavier duty feed doors, escape door, manger doors and man door. 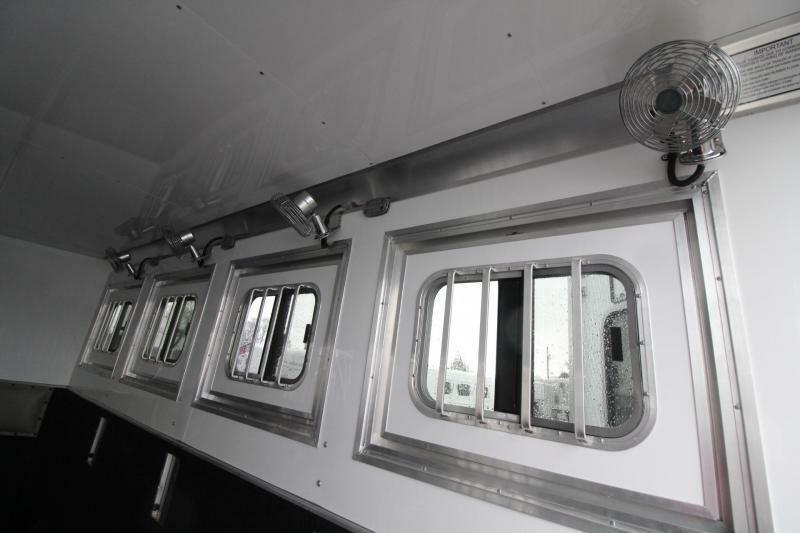 Also adds drop windows to tail side.